But since it was still fairly early in the day and we hadn’t yet had lunch, I thought it best to wait until later to indulge in cheesecake. I definitely was tempted though! After seeing Fort Goryokaku and Goryokaku Tower and eating at Lucky Pierrot for lunch, M and I grabbed a tram (which was not decorated Pastry Snaffle’s style) and took it down to where the Kanemori Red Brick Warehouses are located. Over 100 years ago, these buildings were actually used as warehouses, but now they house a number of stores. 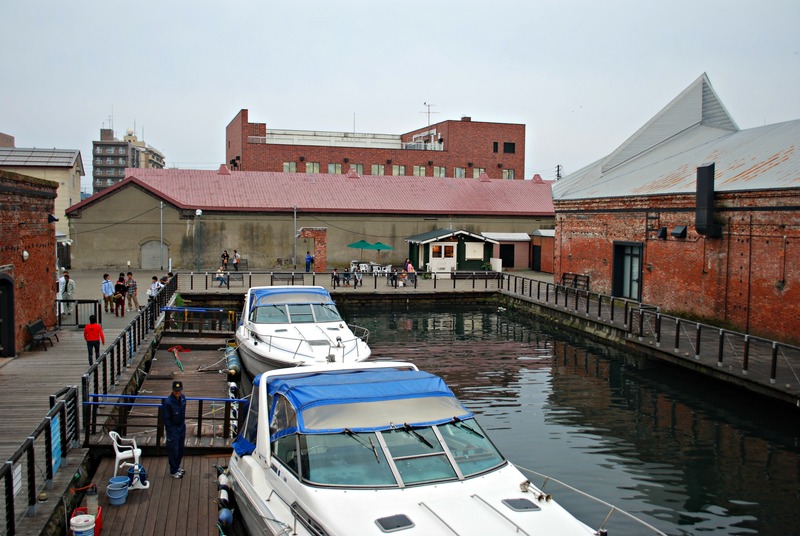 Located along Hakodate’s Port, the whole area felt very open with great views of the waters. 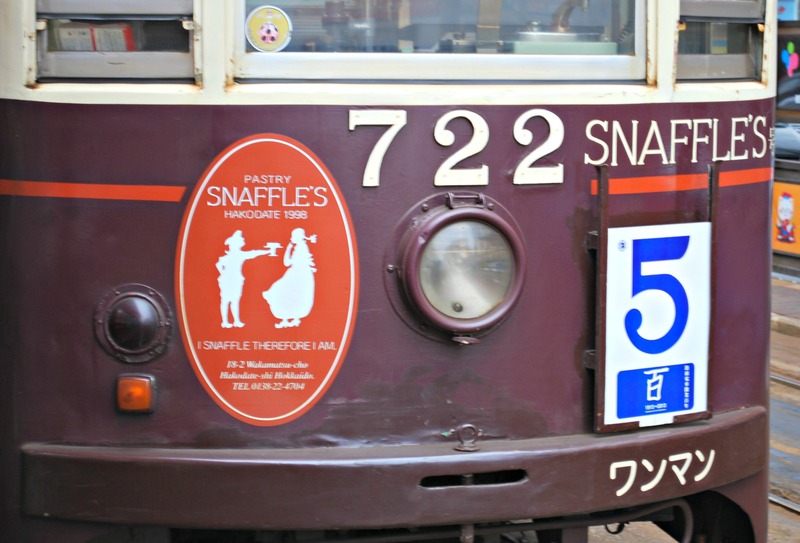 At this point in the trip, we were already loaded down with so many souvenirs and omiyage that I had to remind M that we were mainly here to eat at Pastry Snaffle’s. In other words, NO SHOPPING! But I soon found myself eating my words as the stores contained some of the cutest knickknacks I had ever seen. In particular was a huge, two-story place selling music boxes. I think I spent an hour in that store alone. My fingers were getting cramped from all the music boxes I kept winding up! Finally, M forced me to the pick the one I liked the most and after purchasing it, took me away by the hand. As it turns out, Pastry Snaffle’s was located at the far end from where we had first started in the warehouses. So by the time we got there, we were definitely ready for some coffee and sweets! 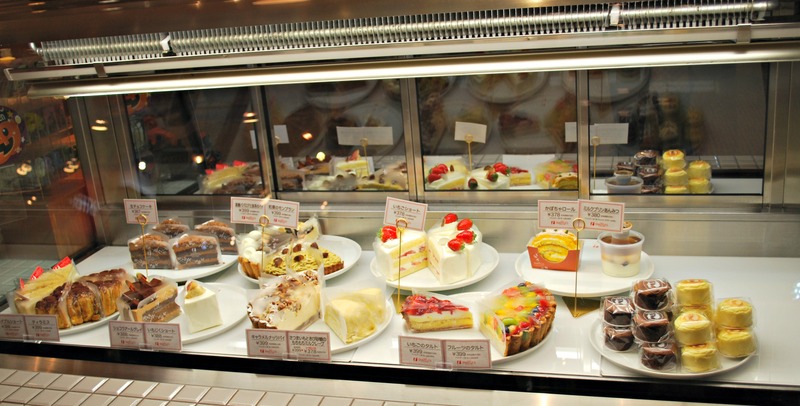 I pressed my face up to the display case and even though there were some nice looking cakes, my eyes were glued to the little cheesecakes in the bottom right corner. OH MY GOSH, it was the best cheesecake of my life! Unlike American cheesecakes which are really heavy and dense, Pastry Snaffle’s was light and fluffy. A couple more bites and it was all gone. Even though it was teeny tiny, it was still satisfying which, for me, is the mark of a good pastry. I didn’t even feel the need to steal a part of M’s strawberry cake which he said was very good. As we were leaving, a huge group of Chinese tourists descended upon the store and grabbed up all of the remaining cheesecakes. Good thing we’d gotten there when we did! Mmm, more delicious treats! I love good cheesecakes of pretty much any variety – including the dense cream-cheese based kind with a cookie crust – but like you, I’ve also taken quite a fancy to the light, fluffy Japanese variety that I snacked on so often when I was there. Indeed, it’s a mark of how well they make these that I’ve tasted some pretty decent ones even at convenience stores. 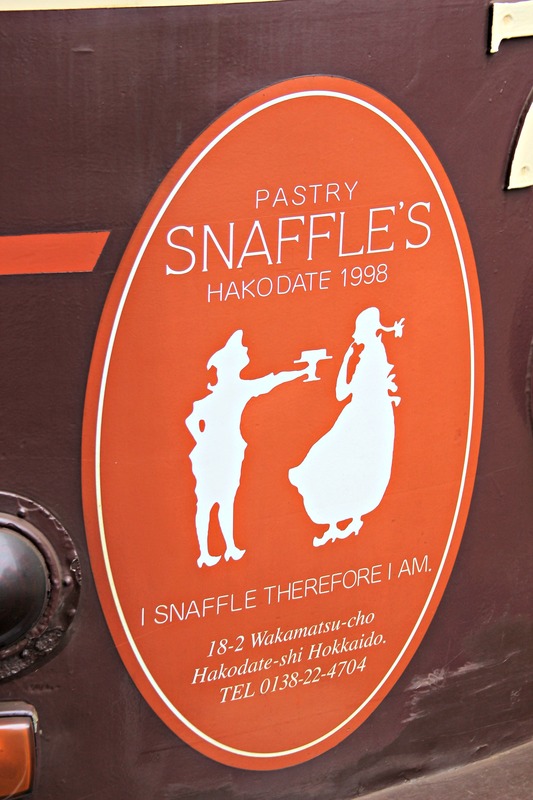 I’ll certainly keep an eye out for Snaffle’s if I ever find myself in Hakodate. 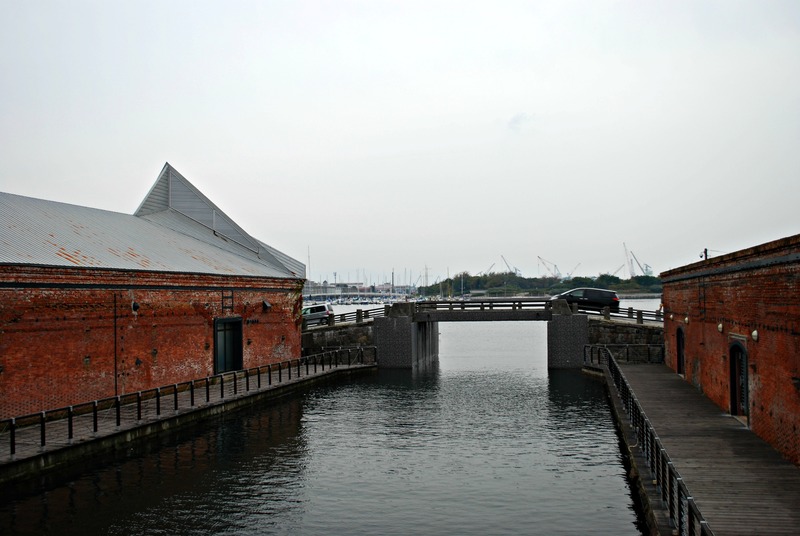 And thanks for mentioning the old warehouses – I’ve read up a little bit about the city in preparation for a potential visit but didn’t even think of that area as a potential stop. Seems like a place well worth visiting. Ah, a fellow cheesecake lover! When you go to Japan for the Sapporo Snow Festival are you flying in to New Chitose airport? There’s a branch of Pastry Snaffle’s there. If you get a chance to try it, I hope you will like it as much as I did! 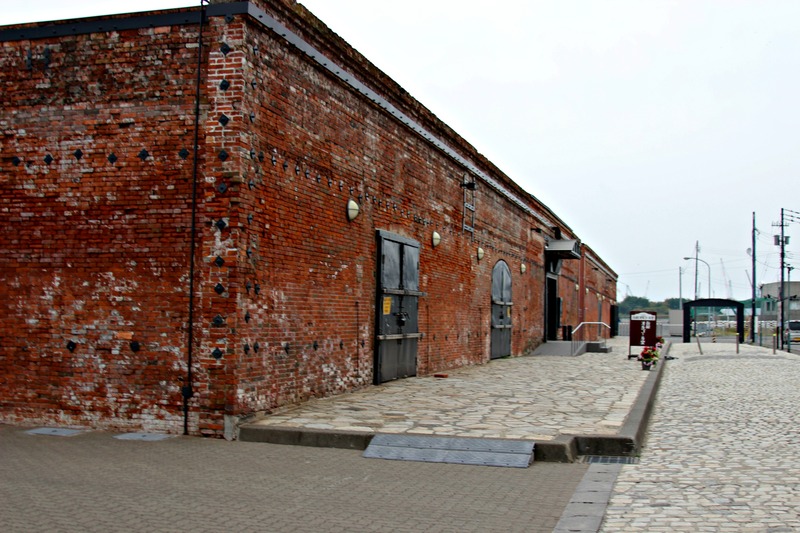 In truth, the red brick warehouses turned out to be a lot better than I had expected. This may sound strange but something about the atmosphere made me feel like it was Christmas time and I was doing my XMAS shopping. I guess it all just felt very warm and cheery and the music box store was such a highlight. It’s also very conveniently located to the Motomachi area and Mt. Hakodate. I really enjoyed Motomachi, I know you have an interest in churches and the three I saw there were beautiful. Mt. Hakodate had some nice views but I still much preferred Mt. Inasa’s in Nagasaki. It’s so cool and romantic. I love the brick walls! The red brick walls definitely gave the area a romantic vibe. If it’d just been a normal looking shopping center I don’t think I would have enjoyed it quite as much….or spent as much money! I guess you proved that it was true! L-O-L! I can’t imagine how chocolate cheese cake tastes like? Isn’t chocolate too overpowering over cheese? Hmmm…. You’re so lucky to have eaten cakes in France! I always imagined the pastries there to be out of this world. Oooh, if the German cakes have fruits in it then I know I will like it. Yes, in general the UK and the US have similar foods. Although I would imagine the UK version to be more healthy and the portions not as enormous. I used to really like American cheesecakes but now they just seem too sweet and SO fattening. I can only take a few bites before my stomach bloats up! I know, chocolate cheesecake does sound a tad weird. But I’ve had chocolate topped cheesecake and it was really good! I think the chocolate needs to be on the bitter side for it to work. That strawberry cake looks amazing!!! I love strawberry! On another note, I love cheese cake but often can’t handle how heavy and dense it is (it fills me up too quickly/can make me sicks!) so that sounds like the perfect cheese cake for me! It looks delicious. I also like that it isn’t super fancy and loaded up with nine hundred different things (like peanut butter crunchy chocolate fudge cheese cakes!). Some times the mark of great desert is its ability to be delicious while being at the simplest possible level. Gah. Now I feel like some cake! 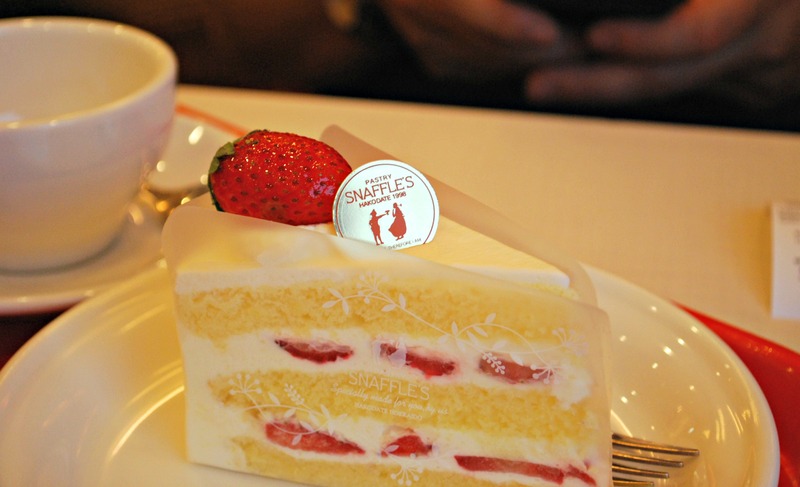 You will see strawberry cakes everywhere when you go to Japan. The Japanese love strawberry too! I know, American cheesecake tastes really good but each bite is so condensed! I can usually only eat half a slice and, even then, that’s pushing myself. Lol, peanut butter crunchy chocolate fudge cheese cake! Reminds me of all the different flavored cheesecakes at the Cheesecake Factory. Sometimes it’s nice to have all that variety but I agree with you in that simple and delicious is the best. *mouth-watering* I have to go there next time I’ll be in Japan, because I love cheesecake. Well, I love every cake to be honest. Same here, there’s not too many cakes I would be able to turn down. But cheesecake and anything chocolate-y definitely rank high on my list. Japanese sweets are really a class of their own. 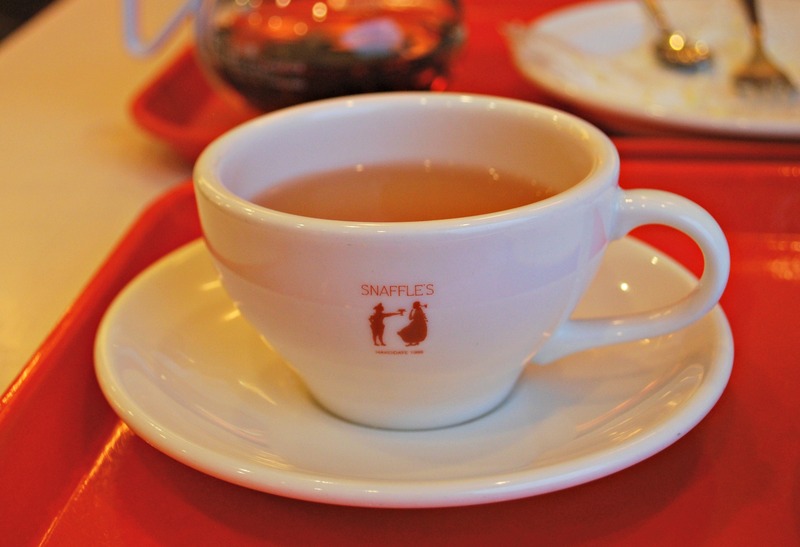 Even the name Snaffle itself is so cute! I wanted to try LeTAO when we were in Otaru! But we spent too much time at the canal and I didn’t realize how far down it was on Sakaimachi Street. By the time we got near the store, it was practically closing time and I had to choose between going there and Kitakaro (the famous Baumkuchen store). I went to Kitakaro because one of my friends really wanted me to bring them back cake from there. 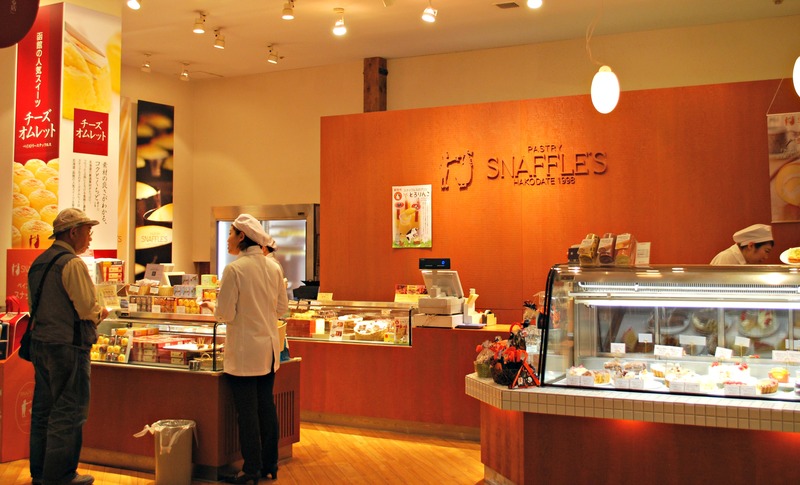 Hope you’ll get to try Snaffles someday, they have a branch at the New Chitose Airport too. Oh that’s right, New Chitose Airport has a bit of everything from all over Hokkaido haha! I think I need a separate trip just for trying out food 😛 I love baumkuchen too! I’m guessing you posted this in response to my crack about Denmark having the best pastries a few days ago? I don’t know how you had so much self control. Every time I visited a pastry shop in Japan (or in China for that matter), I bought one of everything that looked good. They would often last me a day and a half, though. I swear I didn’t eat them all at once. The Korean pastry shops were pretty interesting. They seem to put hotdogs into everything. I had learned a little bit of self control by the time I got there, and only bought 6 pastries that time! Ah, you joke…..I totally agreed with you about the Danish pastries lol! I’m afraid you give me too much credit. I actually have very little self-control, I’m just lucky that there’s so many Asian bakeries here in So Cal that I go to on a regular basis. So I don’t feel like I’m missing out too much if I don’t indulge in Japan’s pastries. Most of the bakeries are Chinese and Japanese, but some Korean ones have started to spring up in recent years. I went to one in the mall a few weeks ago. It would appear that the hot dog trend you saw in Korea didn’t make it to America! Too bad, I actually love hot dogs! I’m sorry to hear that. The hotdog pastries I tried in Korea were amazing. If you ever come to Seattle, we have a wonderful Japanese bakery I would love to take you to. That’s so nice of you to offer! I was actually in Seattle earlier in the year, I think June? But only for an afternoon before I moved on to Vancouver. Since I only had time to see one thing, I went to Pike Place Market and ate clam chowder (ultra touristy, I know). What is the name of the bakery? I have always been wanting to go back to Japan since going to Osaka! However my mum wasn’t much if a dessert fan so never explored that scene! The cheesecakes so delish! 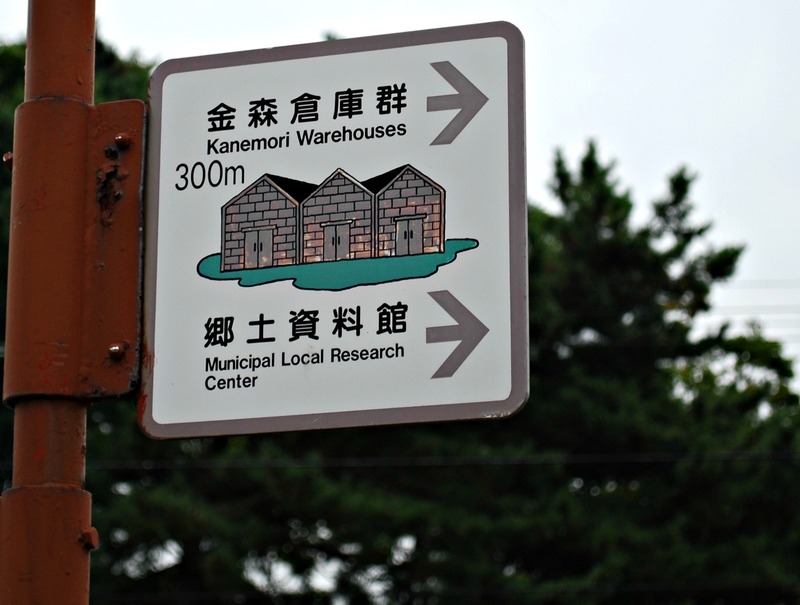 Would you say it would be rather difficult to explore these places without knowing any sirt of Japanese? I hope you’ll get your chance to go back to Japan someday soon! Did you have lots of fun when you were in Osaka? I’m hoping to go back there next year when the Harry Potter attraction opens at Universal Studios. It’s interesting that you asked whether it’s difficult to get around Japan without knowing any sort of Japanese. I always wondered about that myself. My Japanese is pretty terrible so I sometimes feel really embarrassed to ask for directions when I can’t find a place. I tend to do lots of research before any trip and also double check with the concierge before setting out for a day of sightseeing. So I guess my answer is that as long as you do a little planning beforehand and have the concierge help you map out the day it shouldn’t be too difficult. I definitely would like to return to Japan. Depends when my boyfriend plucks up the courage to go especially the main trip for him is surfing! Osaka was definitely fun! Went with my mum and aunt and we rented a room so there was no concierge for us. My mum and aunt both relied on the chinese writing which the japanese has adapted and not changed to get around. I suppose that is the upper hand of knowing a bit of chinese. The Harry Potter Studio in Japan? I have still yet to go to the one in England! Oh yeah, knowing the Chinese characters can help you get around in Japan. My sister-in-law is Chinese and she says it especially helps when it comes to food because she can read the menu. Good thing, because my brother who she’s married to doesn’t know a lick of Japanese! Actually, it’s the Wizarding World of Harry Potter that will be opening up in Osaka’s Universal Studios next year. From what I hear it should be identical to the one at Orlando’s Universal Studios. I went to the one in Orlando and WOW, it was so incredible. The Harry Potter ride is so realistic, you really feel like you are flying and following Harry and his pals on their adventures. The chocolate ones in your photos looks really good. But I looks like the original cheesecake is the bestseller since a lot of it was bought in between your 9th and 10th photos. The strawberry looks really nice and ripe. Also, the place looks like a good restaurant to go on a casual and quiet (?) date. Thanks for the link to the blueberry cheesecake, it looked really good! I’ve never seen cheesecake with an extra layer of graham cracker crust going through the middle like that. It must add some really good texture. 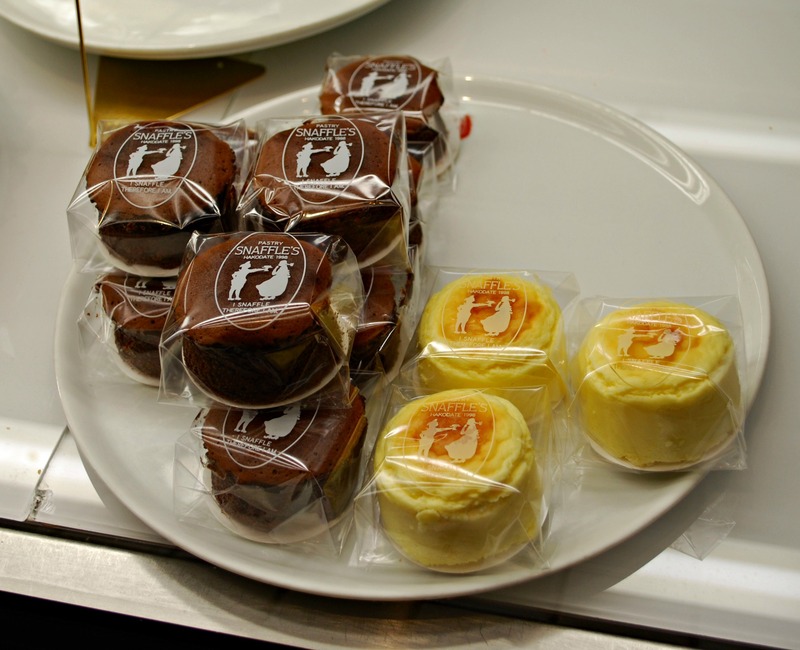 The cheesecakes in Japan don’t taste very cheesy either, nor are they all that sweet. Which is the total opposite of the ones here in America. They are very dense, very sweet, and some of them taste like pure cream cheese. Good to have once in a while but it’s probably one of the most fattening desserts you can order! Yes, you really pick up on the details, I don’t think the chocolate ones were anywhere near as popular as the original ones. I guess chocolate cheesecake sounds kind of weird to some people. And it was a good date spot, everyone in there (including us) were couples. 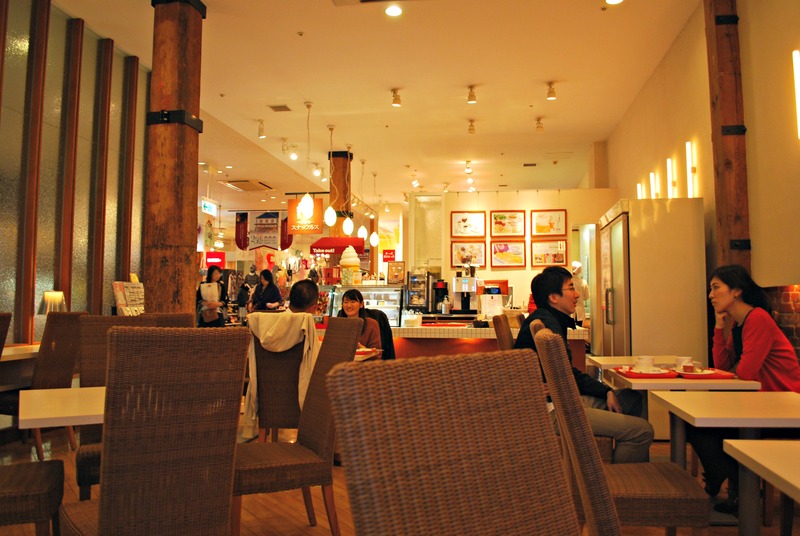 It kind of reminded me of those cafes that you’ll see in Japanese dramas. I really enjoyed my time in Hakodate, I wish I could’ve stayed longer than just 1 day. The red brick warehouses turned out to be so much more wonderful than I had anticipated. It really did have a romantic feel to it which was quite nice. On the other hand, it made me forget my promise not to shop and I ended up spending a gripload of money! You are so right, I completely agree! When we went to Japan back in 2012, we told ourselves that we would keep our shopping to a very bare minimum. Well, as usual we went overboard and picked up so much stuff that we had to buy an additional suitcase to put it all in! On this last trip we were a little smarter….we brought along an empty suitcase. And yes, we totally filled it up! All the pastry looks so good! Looooove cheesecake! Cheesecake is definitely one of my favorite desserts. I try not to eat it too much because it’s fattening but I’ve been craving it so bad since I had the Pastry Snaffle’s one in Japan! 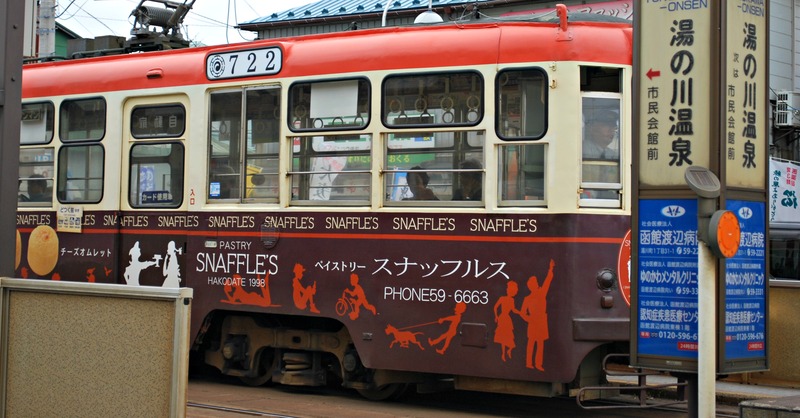 I automatically read ‘Snaffles’ as ‘Snuffles’ for some reason… but OH MY GOODNESS. I love cheesecake!! The only thing I like enough to try learn and make hahah. I’m so sad that I’m not going to Hokkaido anymore 😦 And you have amazing self-restraint, I would have totally tried the chocolate one too! Oh no, what happened to your Hokkaido trip? I’m sorry you’re not going on that trip, hopefully you will make it there on a future date. As for Pastry “Snuffles” (lol, it still sounds cute! ), the cheesecake there was so amazing. I could kick myself now for not having tried the chocolate one, I don’t know what I was thinking! I can totally understand that! And you’re sure to still find all kinds of goodies in Tokyo/Kansai. I especially love all the desserts in the basements of the department stores. I sometimes buy it at Hokkaido food fair in Tokyo and Chiba. It is so tasty. 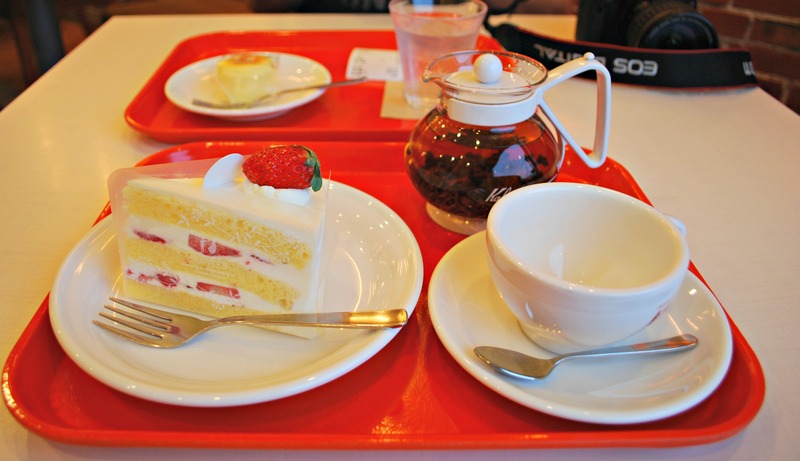 Also strawberry cake looks yummy. Someday I want to go to the cafe ! The Pastry Snaffle’s cheesecake was the best I ever had! Cheesecake in America is so dense and heavy and it’s hard to finish one slice. I love Japanese cheesecake! 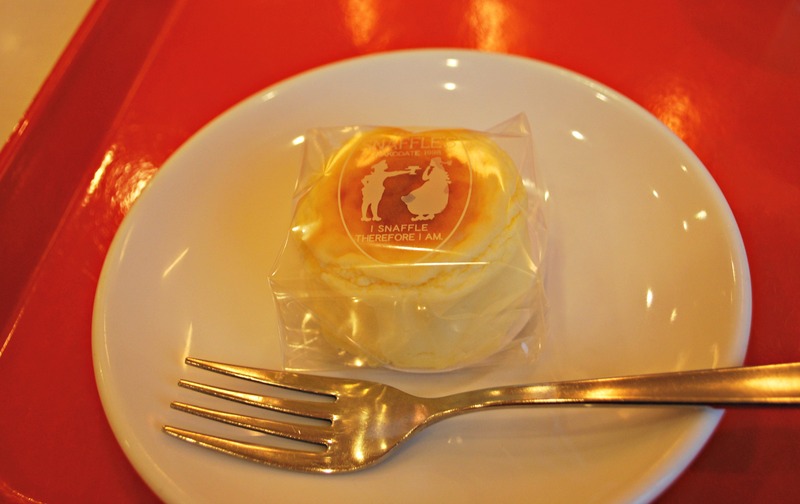 Snaffle’s cheesecakes are really good! 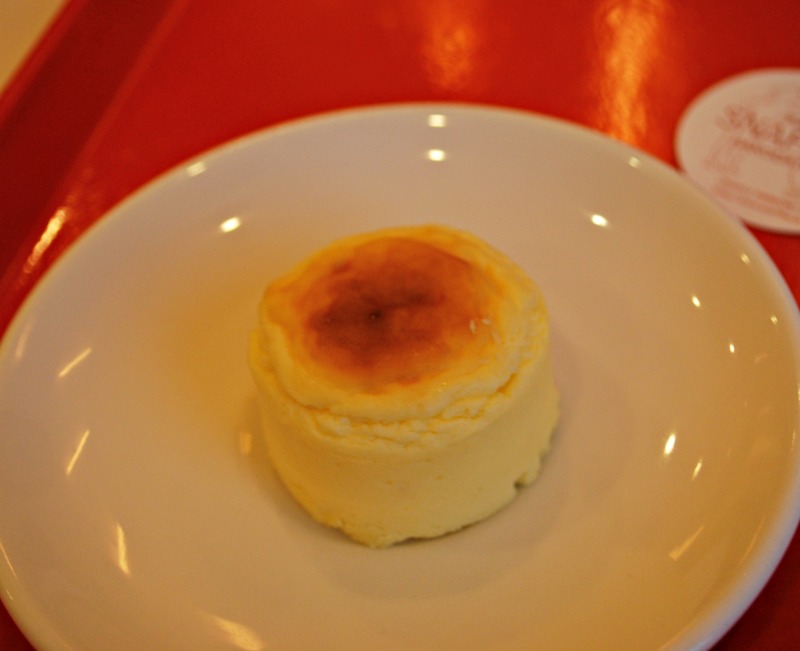 Did you get to try LeTao cheesecakes too? Ah no I didn’t get a chance to try LeTao’s. I was planning to when we were in Otaru but by the time we got to the store it was already closed. They were selling some at the station but the portions were way too big for one person. and as my boyfriend doesn’t care much for cheesecake I knew I couldn’t finish it myself. I hope I’ll be able to find it in a more manageable portion the next time I visit Japan.